Lawrence has been listening to local concerns about crossing Greenbank Road to get into Greenbank Park. Particularly at peak times,the road can been filled with fast moving traffic. Lawrence is looking into the possibility of installing a ‘central refuge’ or island to make crossing the road easier for those who find the park difficult to access. 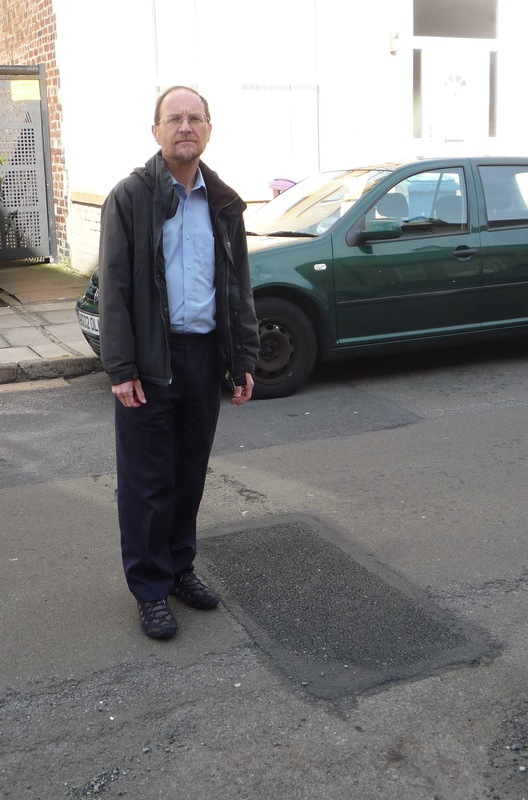 After complaints from local residents, Lawrence has successfully lobbied the council to fill in a dangerous pothole on Nicander Road. 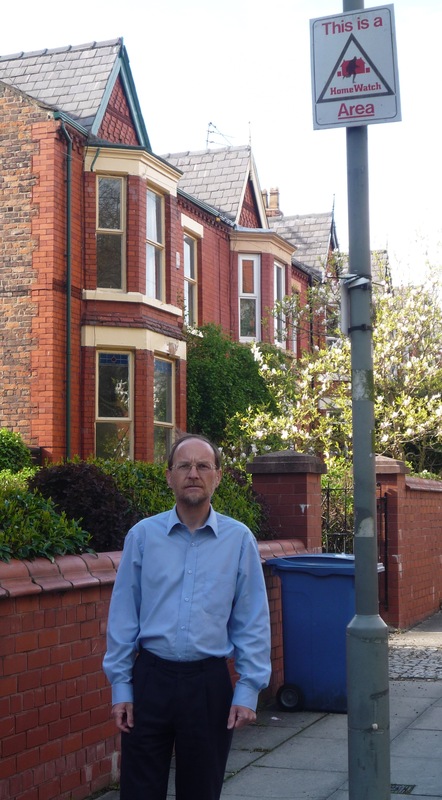 He has also been putting pressure on the council to fix street lights on Greenbank Road and Oakbank Road that have been burning throughout the day. 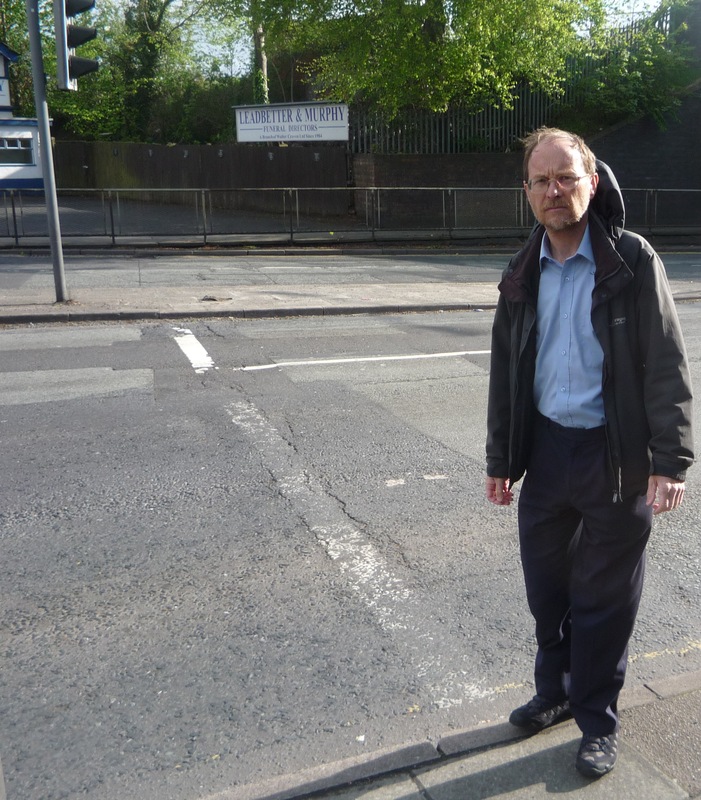 After initially contacting the council in February about the double yellow lines that have been worn away at the junction of Nicander Road and Smithdown Road that have caused problems for residents, Lawrence has been pressing the Council to take action. 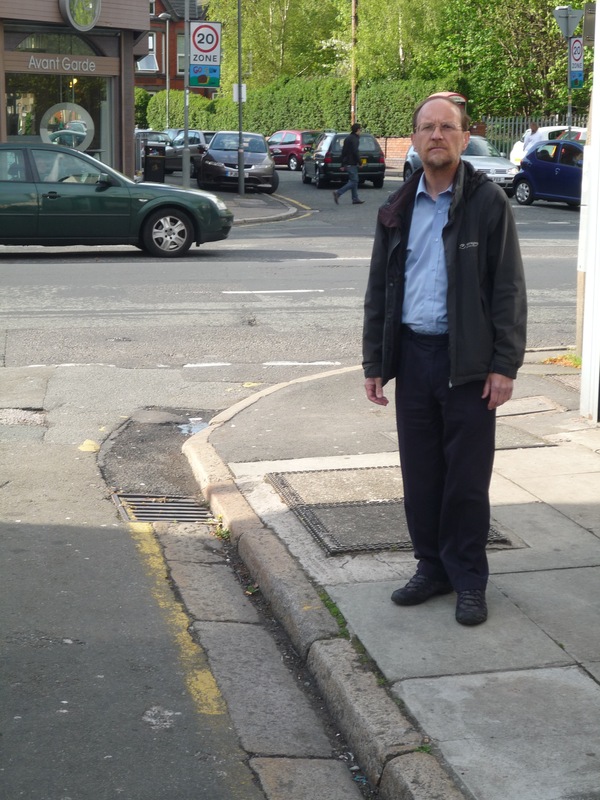 Lawrence has contacted the council regarding the poor state of Smithdown Road. Road markings have been worn away or have already disappeared which is of great cause for concern regarding road safety. Lawrence is pressing the council to, at the very least, remark parts of Smithdown Road. Lawrence is currently pressing the council to replace the broken bollard on Smithdown Road at the junction of Greenbank Road, which has been damaged and could cause a problem for residents crossing the road there. 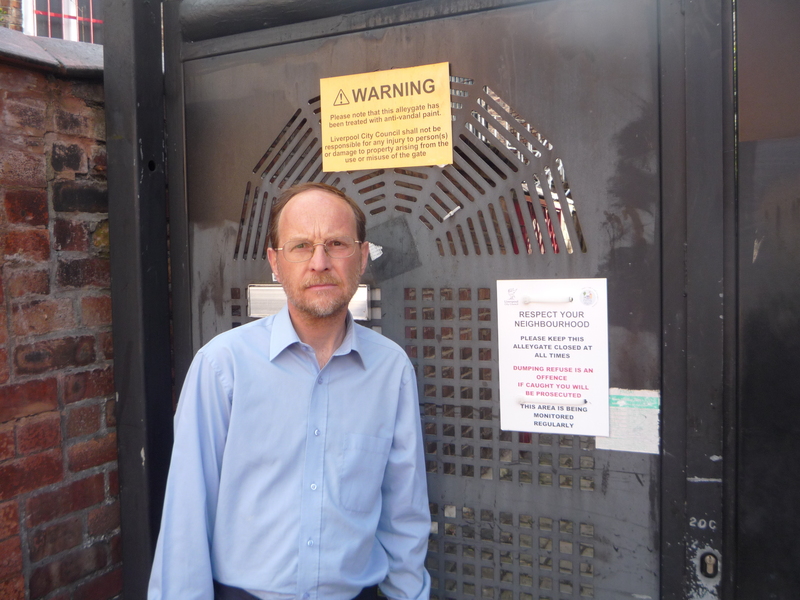 After a report from a concerned resident, Lawrence has successfully lobbied the council to replace a missing sign on an alleygate in Patterdale Road, reminding residents to keep the alleygate closed at all times. 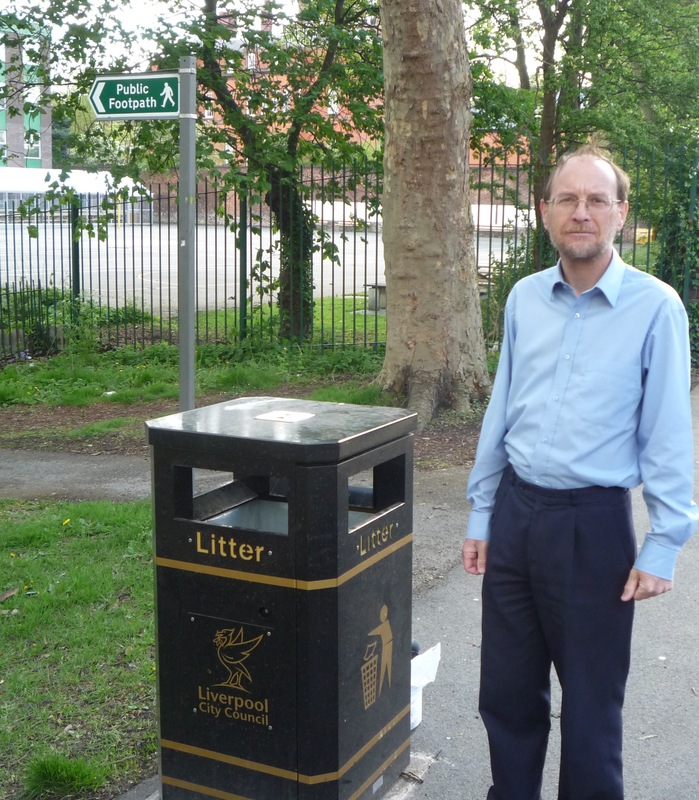 After listening to concerns of local residents about the amount of litter on St Agnes Field next to St Hilda’s, Lawrence successfully lobbied the council to install a litter bin at the Ullet Road entrance to the field next to the well used public footpath which has had a serious litter problem in the past. 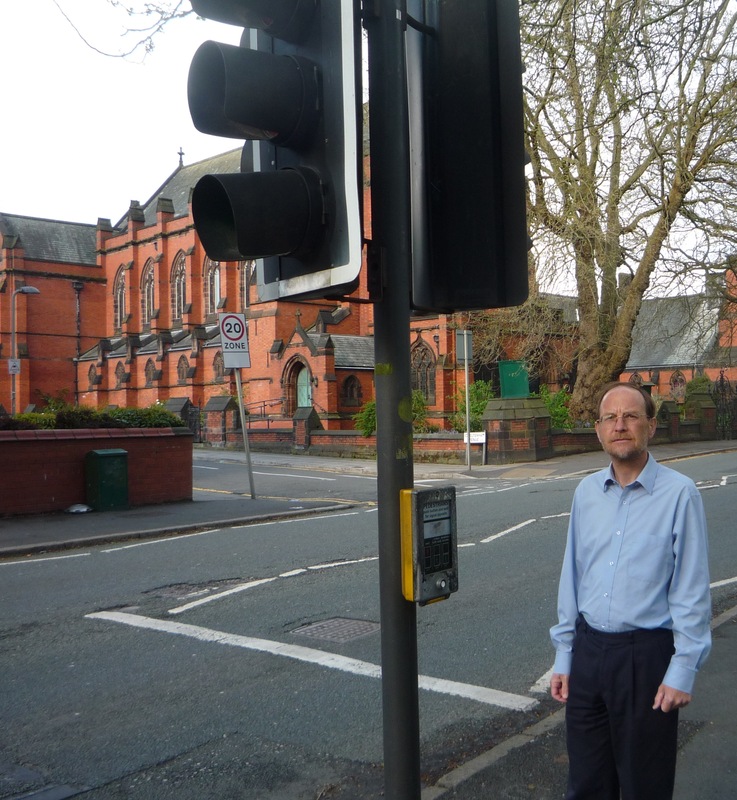 Some residents had complained that the Pelican Crossing on Ullet Road near St Hilda’s School was too slow. Lawrence supports the reprogramming of the lights to respond more quickly to waiting pedestrians; making it safer for residents and school pupils. He is pressing the Council to repeat this at other locations in Greenbank Ward. A faulty street light on Cheltenham Avenue has now been fixed after Lawrence took up the case from a local resident. Lawrence has also been actively involved with a group of local residents who have been working with the Quakers to bring the little-used Quaker burial site behind the high walls on Arundel Avenue back into use as a community garden. A great volunteer-led recycling scheme will be running again this year to try to reduce the amount of waste that is left as students leave our area at the end of the academic year. Yellow collection bags will be delivered through letterboxes on 18th and 19th May into which any unwanted items can be placed. The bags will then be collected by volunteers on the 1st and 2nd June. The campaign to save 6 acres of green fields beside Sefton Park is continuing and gaining more and more support every day. 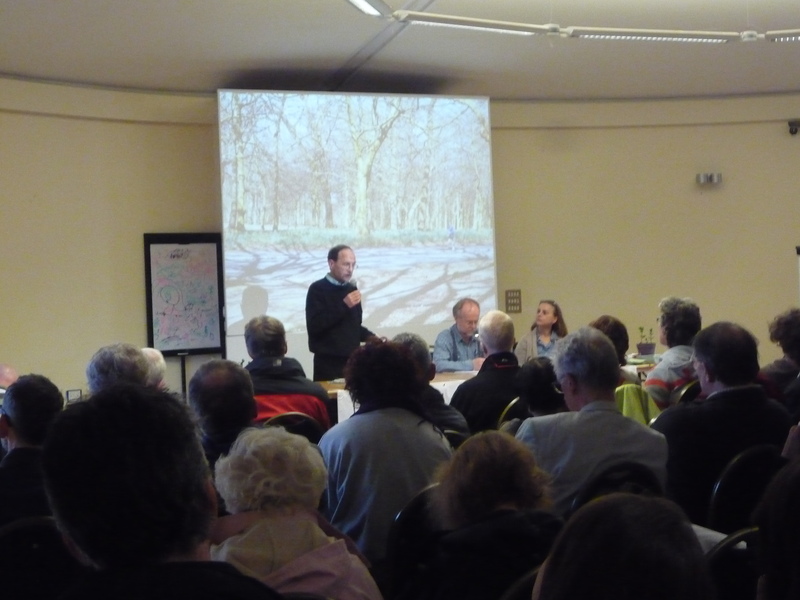 Lawrence Brown addressing the packed Save Sefton Meadows public meeting in April. After a public meeting in April, members of the public formed an independent steering group to drive forward the campaign. Green Party Councillors and volunteers have been helping the group by printing campaign leaflets free of charge and collecting signatures on the petition. Lawrence Brown and local Green Party volunteers have been knocking on doors around our area to try to get as many signatures as possible before the deadline of 31st May. A full council meeting was called last month to discuss the sell-off of this area as it is recognised as being extremely valuable to local residents. 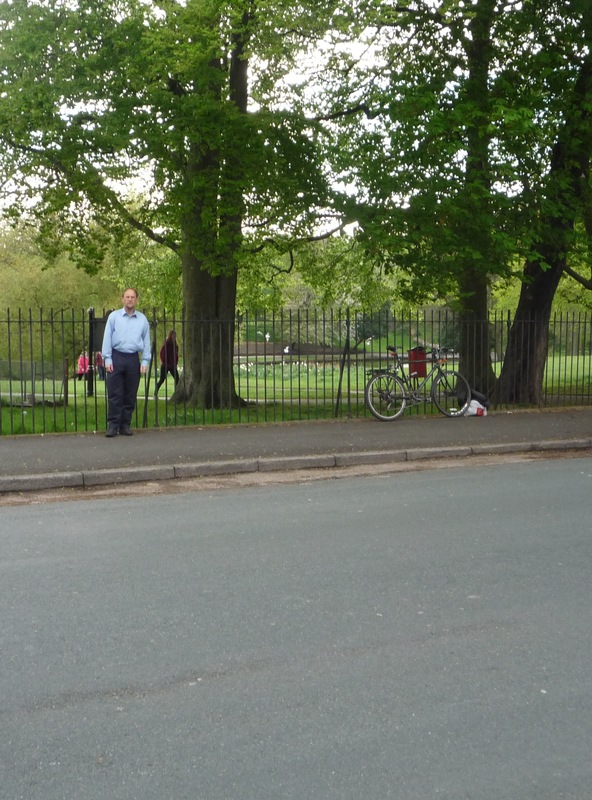 The Green Councillors put forward an amendment which would postpone the sell-off of Sefton Park Meadows. We had hoped to gain cross-party support, especially from the Labour Councillors from the wards surrounding this area. Unfortunately, and without exception, all Labour Councillors voted against the amendment and against the idea of postponing Joe Anderson’s plan. If you would like to sign the petition, but we haven’t been round to your street yet, please get in touch with Lawrence (details overleaf) and we will bring a petition form round for you to sign.